How do you translate technology to an organization that focuses on dental equipment? 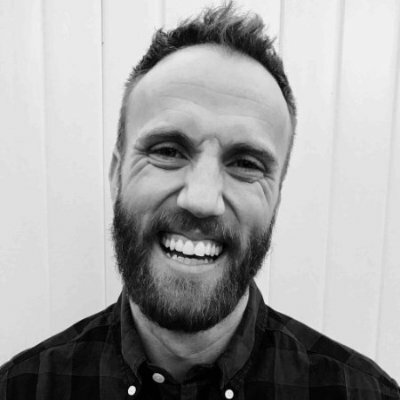 What technical skills does a good product manager need to know? How different is it to be a Product Manager in a manufacturing industry to electronics/app based industry? Why should one become a product manager from an engineering background? What skills and tools do you use on the job and how did you develop them? I've been told that aspiring PM’s should learn everything from Java, Android/iOS, SQL, HTML to CSS. What do you think? How do you balance Product-Market Fit (PMF) and metrics very early in a product? How does someone break into a PM role and why is a PM not in charge of P&L? Could you elaborate on your product ideation & validation process, given your very unique customer set? Can you talk a little bit more about the advantages and challenges about working with SaaS products? Any tips for a brand new Product Manager just starting up? What has mentorship looked like in your career, especially when starting out in PM? Any advice? What's the right time to become a PM? I've done SW engineering for 6+ yrs and been a Business IT Consultant for 6+ years. How do you communicate to your customers, if what they are expecting is unreasonable? How important it is to fail in a PM role to understand the real need of the customer for a product? Have you ever wondered why companies require their PM's to be a PM elsewhere first? Is UX /UI Design, primarily a PM responsibility or a required skill for a good PM ? Do you think a role in the consumer goods industry can help or hinder an eventual transition into tech? Blog | Product Management | Career Path | What Makes a Good Background to Launch a Product Career? What Makes a Good Background to Launch a Product Career? I’ve been told that aspiring PM’s should learn everything from Java, Android/iOS, SQL, HTML to CSS. What do you think? What’s the right time to become a PM? I’ve done SW engineering for 6+ yrs and been a Business IT Consultant for 6+ years. Have you ever wondered why companies require their PM’s to be a PM elsewhere first? There truly is a market for Product Managers and we don’t mean just the big tech companies like Google, Facebook and Spotify that are always hiring. We’re talking about the huge amount of companies that may not fall into the tech category but that still build software and need Product Managers. So what kind of background and skillset do you need to launch a career in Product? Our Slack community sent out some questions to the Product Manager at Henry Schein to discuss this. Product Manager at Henry Schein, previously a Product Analyst, Quality Assurance Engineer and Support Team Leader in the same company. Holds a Bachelor’s degree in Business Management. Henry Schein does distribute dental products, but we also build software and technology solutions for dentists, which is the division of Henry Schein that I work in and focus on. I think it varies and no two PM’s are alike. Some are more technical, others are more business focused, others may be more customer/industry experienced. The best are strong in all three areas. It’s like baseball, you want to be able to hit, throw, run, catch — have a well rounded game. I wouldn’t focus on one skill, but more on dev processes than actual code or technology. I’ve always been in software. I see PM as a partner to development and a leader of the cross functional operations team. If it has to do with the experience of the user, I usually want and have a seat at the table for those conversations. I think only you can answer that question, but for me, what I love about product is the diversity, I worked with a customer this morning, then worked on a partner contract agreement, and then worked with development on requirements for a feature. I love business and the competitive side and understanding what influences buyers to make purchase decisions. I love Pendo and use it heavily. I also use Product Plan, Slack, and Asana a lot. The skills just come from experience and making tons of mistakes. I read as much as I can. Don’t be afraid to ask what might seem like a rookie question. My career path was support, then QA/dev, then business/product analysis, so I started in customer service and support then learned dev processes while going to school to study business. Just read as much as you can and continue being in groups like this. I’m weird, I kind of disagree on the need to understand SQL, JS, etc. I would focus more on the development process. If you’re starting in your career and want to get a good base, I think that’s a great idea, but I don’t think you need to have a CS degree. Get a job in support or do work on your own on the side to build a website. More technical skills are a good thing, but we have 12 PM’s on my team and none have a CS degree. This varies by company, but I don’t think its a must. We use NPS very heavily, and I think those concepts can be used before the product is shipped. I like the pragmatic concept that you’re trying to solve problems customers are willing to pay to have solved. Measure and understand the value of your solution, and make sure that your solution is a solution to their real problems. Paper prototypes, interviews, relentless search for understanding of the user. For me, I just stuck with my company and as we grew, the opportunity came. I was annoying about it, and made sure the VP and directors at the time knew how badly I wanted to be in Product. I also looked for ways to help the product team before I was in the role officially so they knew I was a go-getter and was about the customer and solving problems. Be an expert on your product and market. 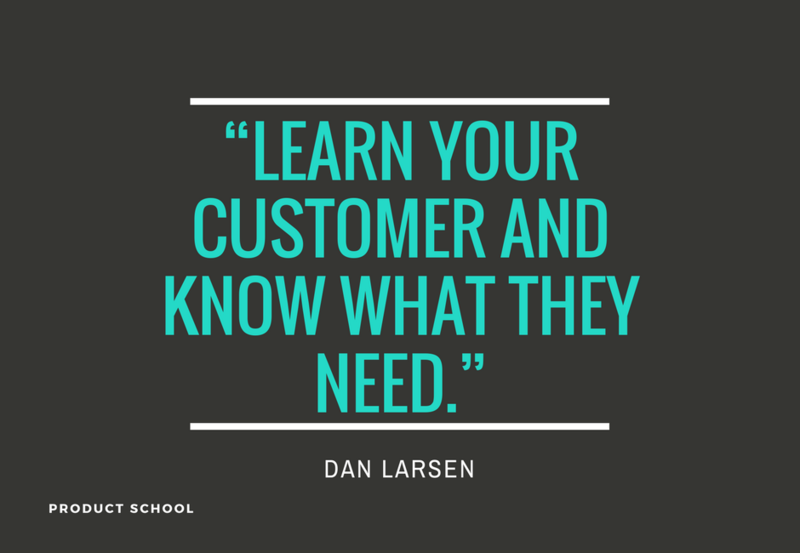 Learn your customer and know what they need to be successful with their business and you’ll bring a lot to the table. PM should be involved and understand the P&L and make decisions that positively affect financials. For me, it comes from spending a tremendous amount of time with customers and trying to understand their business as well as they do. When you do that, the ideas will be very obvious, and it will come down to determining priority and how to build. I love the validation process because I like LSS and the data side to the PM job, so it’s fun to say, OK, how many people will benefit from this solution, which segments of the market can use it and what percentage will pay for it. What does the competition look like. Think about how you will market the product before you ever build it — what’s your unique value proposition? I’ve done both client server/license model and SaaS model. The SaaS advantage is the ease of deployment to everyone and how much you can learn quickly. The challenge is that if your solution is business critical for the user, it’s a huge responsibility to keep the app running and performing well. It’s a constant effort. Also, typically barriers to exit can be lower if they didn’t put down a huge chunk of money for an upfront license. There are lots more, but that’s what comes to mind for me. 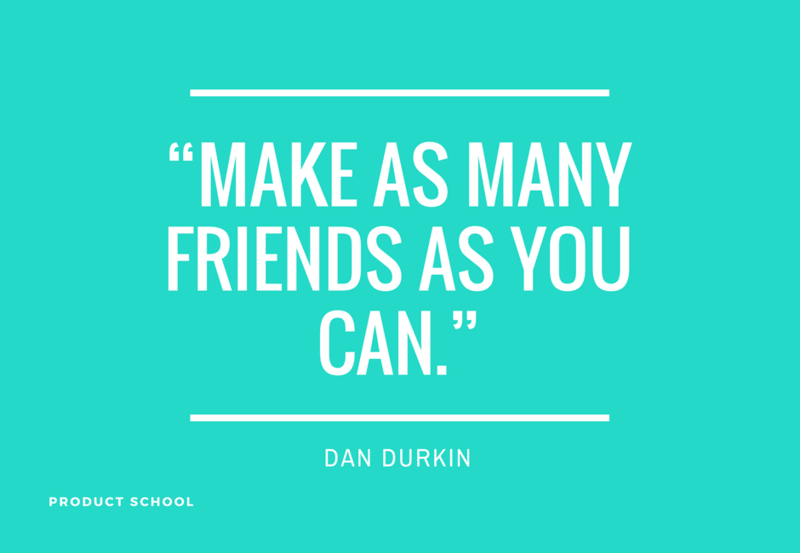 This might sound simple, but make as many friends as you can. A good product manager needs to have strong relationships with his or her team. My mentor is the reason I became a PM. I saw what he was doing and thought, wow, that looks like an awesome job, I want to do that. Being a good mentee would be asking for opportunities to help, in any capacity, ask for recommendations of good books. Most of my mentors have been inside my company, because there was a natural connection and introduction to those people, but it doesn’t have to be. I think it’s great to have an external mentor as well. I say go for it. I see three pillars to a good PM – technical, business, industry. You have at least one of those nailed. I say go for it now. Such a tricky thing to do. It’s not easy. Users will very often gravitate towards offering the solution they think they need. Redirect that, and ask about the pain point. What is the problem they have. If the customer asks for a button, ask what pain the button will solve — that info is gold for you. If they always go back to the solution and it really is wrong, illegal, not important, then just say thanks for the feedback. You can also use a tool like UserVoice — if no other users ask for it, then the crazy user will understand why its not being built — no one else wants this. If tons of people ask for the solution that sounds crazy, then you have some work to do to understand why. If you never fail, you’re probably playing it too safe. I think a failure in a PM role is spending tons of money on a product that no one wants or is willing to pay for. Now, if it’s buggy or something then it’s not all on you as a PM, but if the premise is wrong and you don’t check and validate that before spending on dev, that’s probably a PM failure. Miss small and often, don’t miss huge on a big bang release idea. Chicken and egg problem. How do you get experience if no one will give you an at-bat? I say just stick with it. Be relentless about your desire to be a PM. Honestly, it took me years longer to get a PM job than I thought it would. I don’t believe in luck, but I do believe in working hard and taking the opportunities when they come. Stick with it, you’ll get a chance. I don’t think it’s required, but it does help. I did UX\UI business analysis stuff for a year or two, and absolutely loved it, and feel it helped me bridge to a PM job. I don’t think you have to be a design expert to be a good PM, but it depends on your company and how strong your dev\design team is. Our team is quite strong, so I don’t spend a ton of time on design. I don’t think it will hurt you. All of the experiences may not translate, but a huge key to a PM is understanding the reason buyers choose a particular product or service, and there can be tons of similarity regardless of it being consumer goods or technology. My last words of advice are to read as much as you can about business. I recommend books like Good to Great, The Lean Start-up, Blue Ocean Strategy, The Ultimate Question, etc. 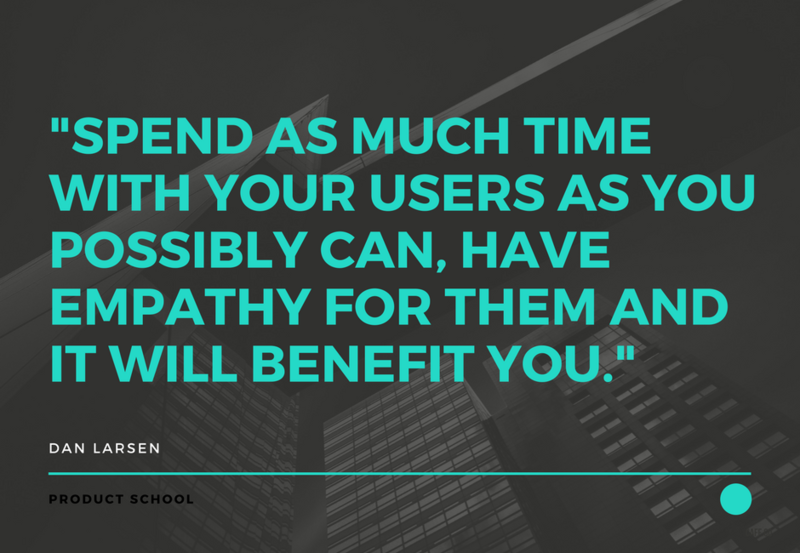 Spend as much time with your users as you possibly can, have empathy for them and it will benefit you. Stick with it, if you aren’t yet a PM, dig in, educate yourself, make as many friends as you can and make sure everyone knows that you want to be a PM and you’re willing to put in the work and help out to make it happen.